European Union has take up a framework for targeted sanctions and take action against the Maldives if the situation does not improve in the country. The foreign Affairs Council of the EU adopted the framework for targeted restrictive measures against persons and entities responsible for undermining the rule of law or obstructing an inclusive political solution in the Maldives as well as persons and entities responsible for serious human rights violations. This decision was made possible as a direct follow up to the Foreign Affairs Council conclusions of 26 February 2018 on the Maldives; if the situation does not improve, to impose a travel ban and an asset freeze on relevant individuals and entities. The Council considered that the situation was not in accordance with the principles of democratic rule and separation of powers, and indicated it may consider targeted measures if the situation did not improve. 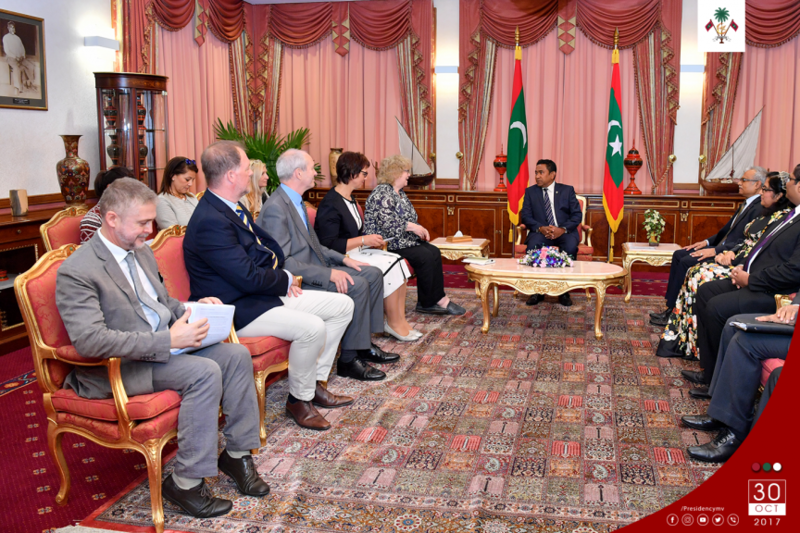 EU Foreign Affairs council has called on the Maldives to engage with leaders of the opposition in a "genuine dialogue" that paves the way for credible, transparent and inclusive Presidential elections.